Locality: United States, Colorado, La Plata, Animas Canon. 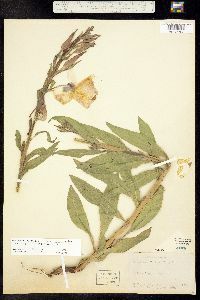 Occurrence Remarks: Oenothera elata H.B.K. subsp. hirsutissima (A. Gray ex S. Watson) Dietrich, det. by W. Dietrich, 1981. Original ID: Oenothera hookeri T. & G. Det. by Geo. E. Osterhout.